Since Season 3 of Homeland has started, I think we have seen Brody a handful of times on screen. Last night, I was praying, wishing, hoping, dreaming that he would come back to the fold and that we could see what the hell he has been up to in Venezuela. 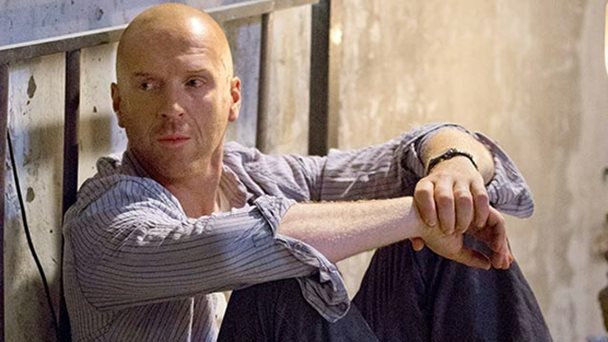 The episode with his Latin captors was the best one thus far, we saw the old Brody come out, the manipulating, theorizing, Muslim loving, shaved head captive style guy. After that he vanished into thin air and instead he has been replaced by Dana. 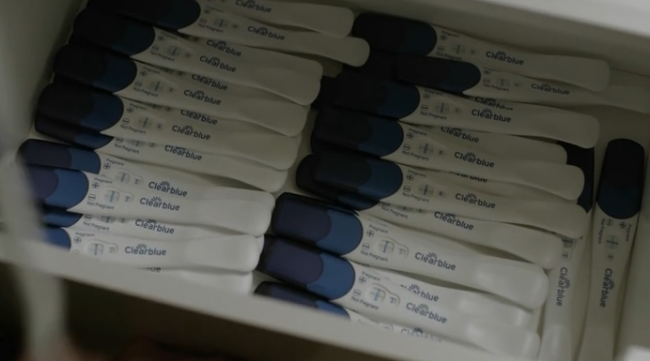 Last night’s episode aptly named, “Still Positive,” gave us a shocker, Carrie has been giving herself pregnancy tests, all which are positive and kept in a drawer like an OCD maniac. Very typical of her and I am guessing that the Baby Daddy is Brody. Carrie, Saul and team move forward with the Javadi scheme. His henchman capture Carrie, take her to an undisclosed location and hook her up to a lie detector or “machine” as he calls it. 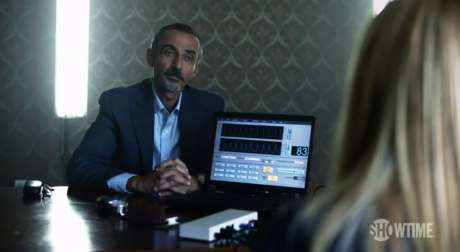 Carrie flips the switch on Javadi and tells him about her plot with Saul and that he must come and meet with him, while holding the fact that she knows about the $45 million dollar embezzlement scam he ran up under an Iranian goalkeeper’s name. Instead of driving with him as planned, Carrie allows him to meet them at a local diner. When he fails to show up, they see that he has arrived at the nicely manicured home of his ex-wife. Who we now find out that Saul assisted in escaping from Iran in the 70s. Javadi knocks on the door and politely asks to come in, then commences to shoot Susan and stab his ex-wife with a broken bottle neck. Saul is enraged and when he comes up close to Javadi after he is captured, punches him in the face. Finally, Saul shows emotion. A man so tightly wound and incapable of showing emotion, lets it out and it suits him well. Ok back to Dana, she changes her name and takes her mom’s maiden name, Lazaro. I am tired of the “poor me” Dana story and hope that the show will go back to what it was known for, the relationship between a bipolar CIA agent and an American prisoner of war turned terrorist. The grit and the drama that comes from their relationship is what kept me tuned in for so long. I hope that the show gets back on track and stops with the filler episodes. Here’s hoping for Venezuela.